Chemmart is Australia’s leading wellbeing pharmacy and operates close to 300 stores throughout Australia. The creation of 24 wellbeing booklets for distribution within Chemmart pharmacies. 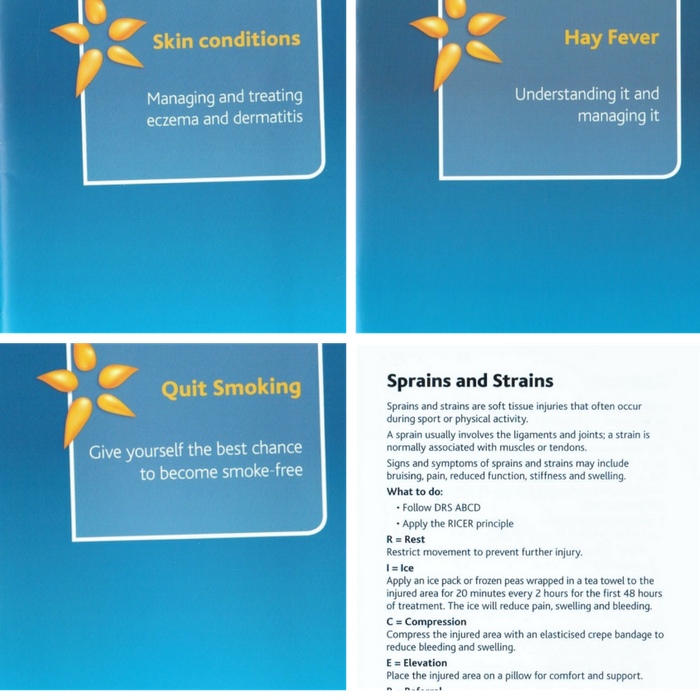 Each wellbeing booklet was dedicated to a specific health topic such as eczema, asthma, first aid, skin care, pain relief, and prostate health. 〉 Create clear, easy to understand content aimed at a 14 year old literacy level. 〉 Progression of Chemmart’s ‘Look After Yourself Better’ marketing message.